The all-new, fifth-generation 2019 Subaru Forester arrives on South African soil and it only comes with Crosstrek's smaller 2.0-liter engine. The all-new 2019 Subaru Forester is the brand’s number-one selling vehicle around the globe and launches in Japan, the U.S., and Australia with just one gasoline engine, the new direct injection 2.5-liter Boxer. The new fifth-generation Forester SUV arrives in South Africa and it’s coming with one engine, a 2.0-liter Boxer engine in the newly-remodeled Forester SUV. Performance fans don’t have to be upset, this isn’t a 2.0-liter turbocharged engine sourced from the Forester 2.0XT model that’s been discontinued everywhere around the globe. It’s the same 152-hp 2.0-liter naturally aspirated powerplant in Subaru's hot new Crosstrek. This Subaru engine has received the newest upgrades with direct injection, and 80 percent of its parts are new. Subaru SA released fuel mileage figures of 7.6 liters per 100km (31 mpg US), a 13 percent improvement over the previous generation Forester SUV. It's puzzling why SA only gets the 2.0-liter engine when the rest of the globe gets the all-new 2.5-liter Boxer that gets better fuel economy with an EPA estimated 33 mpg highway. Of course, Symmetrical all-wheel drive is standard across all three trims and provides all-weather and extreme off-road performance with the new dual-function X Mode. Because of the small SUV’s “go-anywhere” attitude, Forester has remained the most popular and successful model from Subaru in the region. 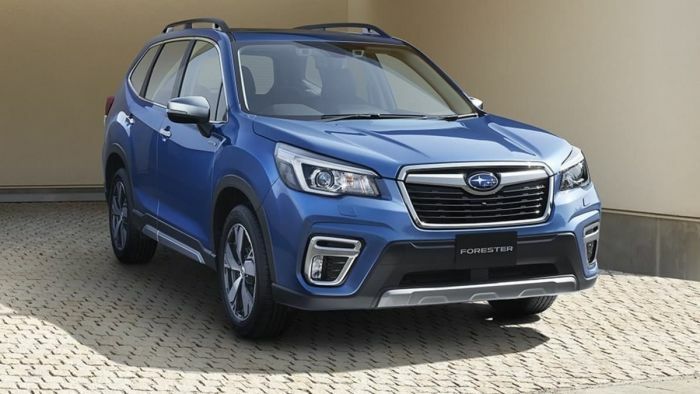 But the new fifth-generation 2019 Subaru Forester SUV arrives in South Africa with the smaller FB20 2.0-liter Boxer engine, and not the 2.5-liter powerplant the rest of the globe gets. The best selling engine in the previous generation lineup was by far the 2.5 one of which I own. I want to replace mine towards the end of the year but will not buy the 2.0 engine model. It makes no sence to me why Subaru have not given us the 2.5 engine. This engine comes standard in many countries in Asia, Europe and Africa, I was told it is both due to gas[petrol costs] and the lack of autobahn type roads in those countries, …... but reliability of the 2.0 has been better than that of the 2.5 and that may be part of the reason too.